COPIAGUE, Long Island (WABC) -- A man and a woman were forced to jump into the water on Long Island after their boat caught fire Saturday. 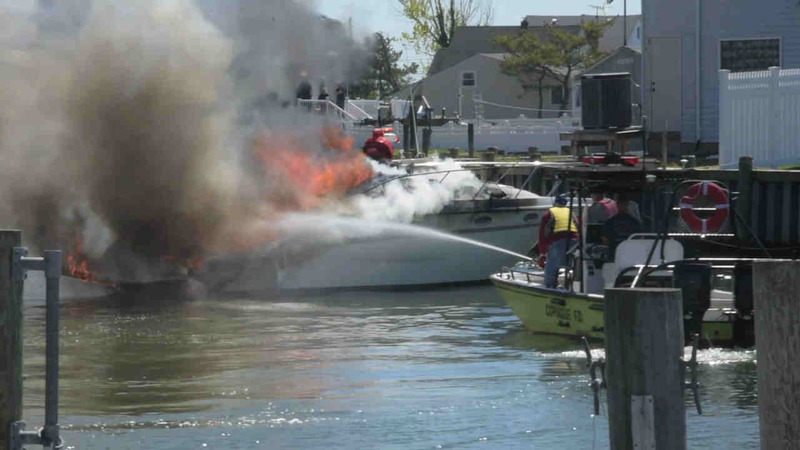 The Suffolk County Marine Bureau responded to a boat fire around 10:30 a.m. in the Great Neck Canal in Copiague. A man and woman were on a boat when it caught on fire. The two jumped in the canal and swam about 20 feet to shore. The boat moved north against the docks and landed off Dolphin Lane. The Coast Guard pulled the boat away from the docks, which were slightly damaged. Several fire departments helped extinguish the fire. The man and woman were evaluated and released.